Raku Feb 24 2019 10:03 am He also act in a musical theatre. He plays the role of Ciel Phantomhive in the Black Butler musical for two series. Ma Feb 10 2019 3:11 pm This kid has amazing talent, I've just finished watching Erased and his performance just blew my mind. I was even disappointed I didn't get to see more of him in the last 3-4 episodes. He overshadowed his older counterpart in my opinion. Looking forward to seeing more of him! nina Jan 04 2018 12:22 am He was so good in Erased!! Loved his portrayal of Satoru so much! Sai Dec 23 2017 3:41 pm This is the first time I'm truly impressed by an actor this young! I'm 7 episodes into Erased. At first I was sure that I wasn't going to like this live action... 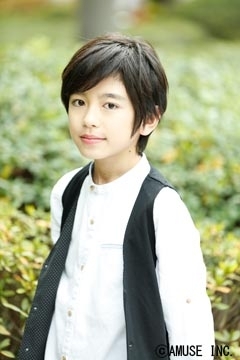 I wanted to give it a try for the story and Yuki Furakawa, but actually it's young Satori who is really drawing me in! Looking forward to watch him grow as an actor!